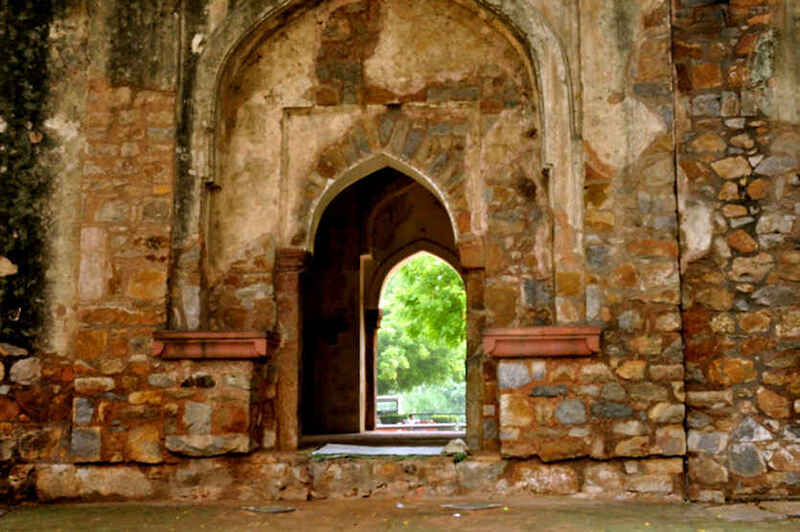 Mehrauli and Qutub areas are such a formidable treasure trove of archaeological vestiges that their neighbouring areas often pale in comparison and are generally ignored. One such is Lado Sarai, a residential locality just adjacent to Saket and flanked by the Mehrauli Badarpur Road and Mehrauli Gurgaon Road. Most of the monuments in Lado Sarai except one are on the verge of extinction and are being encroached out of existence. 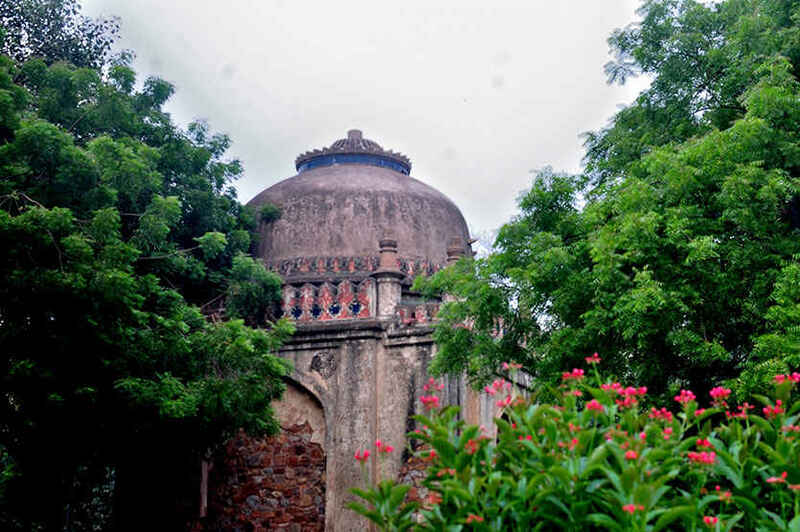 According to reports there is a tomb-like monument and a mosque dating back to the Lodhi era inside the Lado Sarai urban village. Lado Sarai is now becoming a popular destination for the artists. Several art studios and galleries have come up on the prominent areas here as many people consider the area more affordable compared to traditional artist quarters such as Hauz Khas Village. On the other hand, the interiors of the area remain as congested as one would expect in a 'village' of Delhi. Only bare parts of these monuments remain and even the compounds are being used for other purposes by the neighbours. So, there is hardly anything remaining for the archaeology enthusiasts. 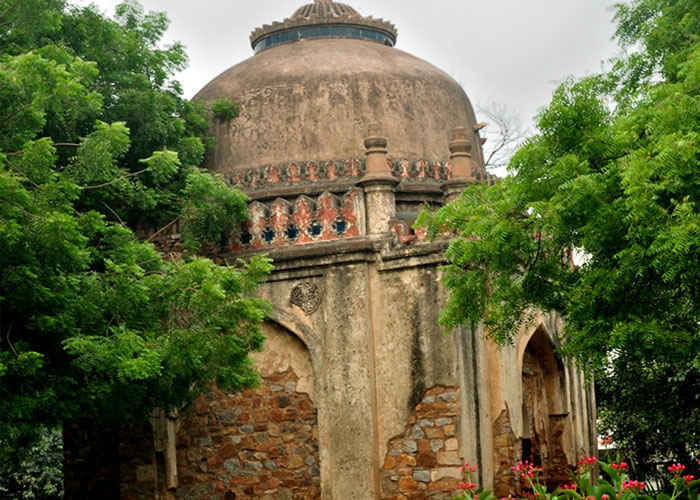 The only saving grace in Lado Sarai is the Gumbad (dome-like structure) lying by the side of Mehrauli-Badarpur Road. It is not very far from the bus stop of Lado Sarai Extension. It probably survived because it was not in the midst of the residential area but on the side of the highway. The authorities woke up to its existence a few years ago and decided to restore it. The surrounding area was developed into a small park which is now called the Gumbad Park. Exact details are not known, but looking at the architecture and design, it is assumed to be from the Lodhi Era (15th century). The blue-glazed tiles around the dome at the top reminds one of the Madhi Masjid in Mehrauli. The interiors also contain some intricate latticework of similar nature. Lush trees surround the dome from all sides. Now the authorities have installed lighting on the floor and in some of the corners too so you can have a better view of the dome after dark, in case you happen to be around. While it is prominently visible, it can still be confusing to locate the monument. If you are approaching from Aurobindo Marg, you will have to take a left at the Lado Sarai crossing and keep moving for a while along the road till you locate a small park. The monument should be easily visible here. But do not confuse this park with the larger Lado Sarai DDA Park which is located slightly ahead of this one. Basically, only one monument is in a shape to be visited in Lado Sarai and the rest will probably face extinction close to a few years. Great, sturdy and beautiful monuments that would surely have been magnificent in their heyday now lay in ruins - go explore the ones that do remain intact!